!! Badge Button Parts on Sale !! 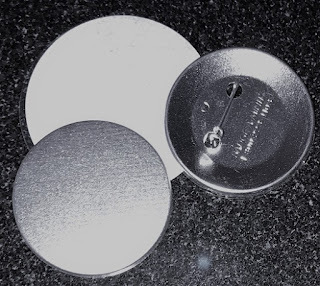 On sale are Badge-A-Minit (US) blank pinback buttons size 57mm. 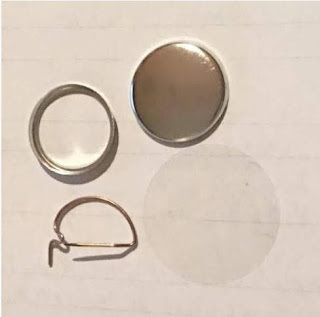 Each button kit includes a metal front, a metal pinback with a no-snag jeweller's pin and safety clasp and a clear plastic cover. You can purchase them in quantities of 50x which sells for $37.50. click on the image above or click here to purchase. Also available on sale are the regular pinback buttons, blank standard pinback buttons size 25mm. To purchase this size of button which sells for $37.50 for a quantity of 100, please click on the image above or click here to make a purchase. Inspire someone with a button! Make someone smile with a button! There are endless possibilities with these blank regular pinback buttons..